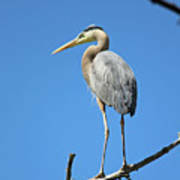 There are no comments for Great Blue Heron Watching And Waiting. Click here to post the first comment. 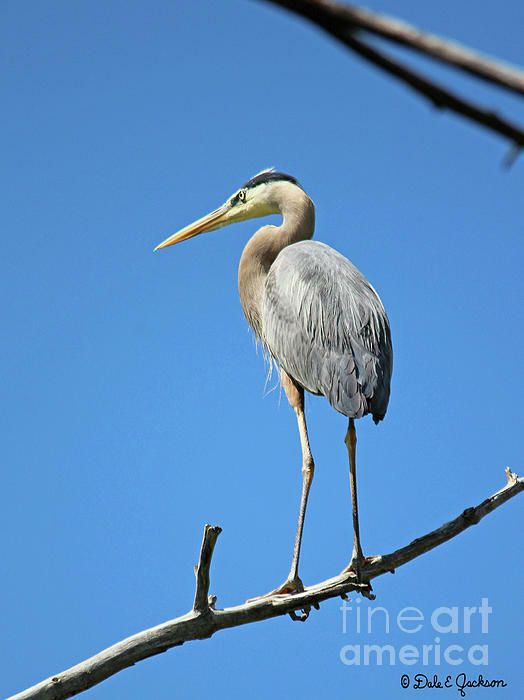 Third in a series: This Great Blue Heron was sitting on the same limb as its nest vigilantly watching for predators which may endeavor to harm it's eggs. Others left their nests while I slipped as close as possible but not this devoted parent. 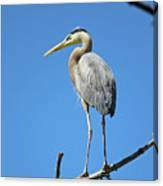 It stayed perched at it's observation post in the very top of the cottonwood tree far above the ground and refused to be frightened away. These Herons are the largest species in North America ranging from 32 to 72". They breed in areas of Western Colorado after wintering in Mexico and then migrate as far north as Alaska during the summer months. They are also known to stay in Colorado year-round close to lakes, ponds, rivers, and marshes where small fish and a variety of other foods are available. Color profile corrected & reposted 4/14/17.